AMD is expected to release their high-end Ryzen Threadripper processors in early August but we have some more information at our hands, thanks to Hermitage Akihabara. The HEDT processors will be featured on the new AMD X399 platform which was showcased at Computex 2017. The AMD Ryzen Threadripper family will initially feature just two SKUs. 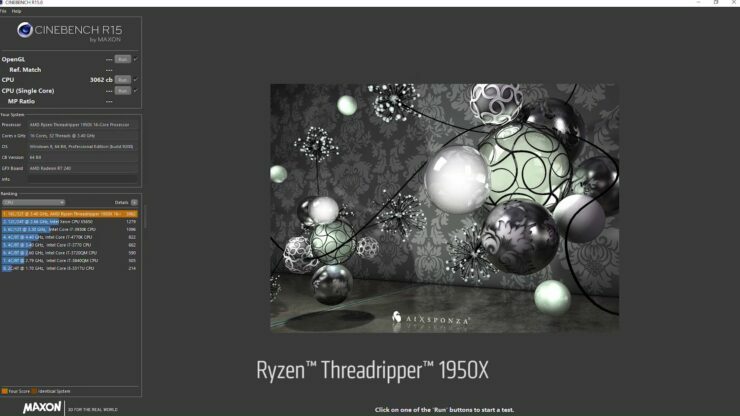 These include the Ryzen Threadripper 1950X and the Ryzen Threadripper 1920X. The processors feature 16 and 12 cores, respectively. Both chips will be available for pre-order on 27th of July and will hit market in early August. The source confirms that the Ryzen Threadripper chips will be available on 10th August (Thursday). AMD will also release the X399 platform at the same day to ensure users are fully prepped at launch day. The other news is that all Ryzen Threadripper processors will ship with a liquid cooling solution. Now it’s not known if there will be separate version of Ryzen Threadripper processors that ship with and without the bundled cooler but at the given price, it sounds good enough. It should be noted that Ryzen Threadripper will require a new range of cooler with large surface area since a Threadripper chip is bigger compared to mainstream and even Intel’s Core-X family on the X299 socket. This also wouldn’t be the first time AMD has shipped liquid cooling solutions with their processors. AMD released several Bulldozer and Piledriver CPUs with water cooling solutions. 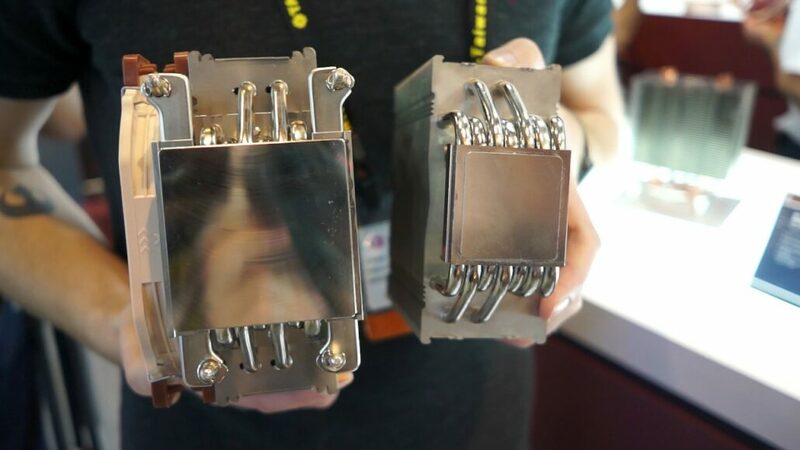 The 5 GHz CPUs which include the FX-9590 and FX-9370 shipped with 220W TDP out of box and had liquid coolers bundled in the revised packages. The Threadripper chips feature TDPs of 180W which means that they will require some beefy cooling solutions to keep steady in workloads that require lots of crunching power. The coolers will be complex to design as the Threadripper socket TR4 (LGA 4094) is more than twice the size of a mainstream socket. Not only is it bigger in size, the socket almost ends up near the top most PCIe slot on many X399 boards which means that users will have to purchase a new range of coolers if they want to replace the bundled liquid cooling solution. Noctua displayed new coolers at their Computex 2017 booth that were designed specifically for the TR4 socket and their contact plate looks massive. 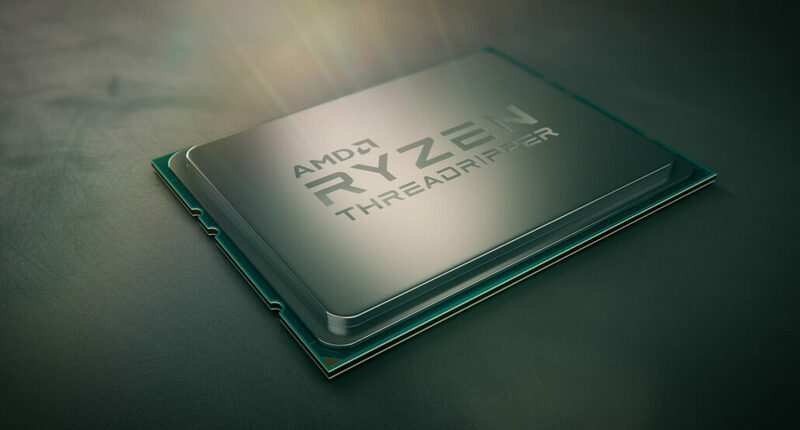 The AMD Ryzen Threadripper 1950X is the flagship chip of the Threadripper X399 family. The chip features 16 cores, 32 threads. Clocks are maintained at 3.4 GHz base, 4.0 GHz boost and the XFR technology should help it gain The chip will carry 32 MB of L3 cache and 8 MB of L2 cache which totals 40 MB. There will be a total of 64 PCIe lanes available on the processor of which 60 can be used by discrete graphics cards and PCIe NVMe storage devices. The chip will cost $999 US when launched. The second chip in the lineup is the Ryzen Threadripper 1920X which features 12 cores and 24 threads for a price of just $799 US. Intel’s 12 core chip in comparison costs $1200 US. The chip features clock speeds of 3.5 GHz base and 4.0 GHz boost. Keeping things in line and if the chip comes with the same die configuration as 1950X, we will be looking at 32 MB of L3 cache and 6 MB of L2 cache which totals to 38 MB total cache size. The chip will feature the same amount of PCIe lanes as the 1950X. Both chips will feature a 180W TDP which is higher compared to the Intel Core X offerings that max out at 165W. It remains to be seen how these chips fare against the Intel parts in terms of efficiency as Intel isn’t doing particularly well in that area.